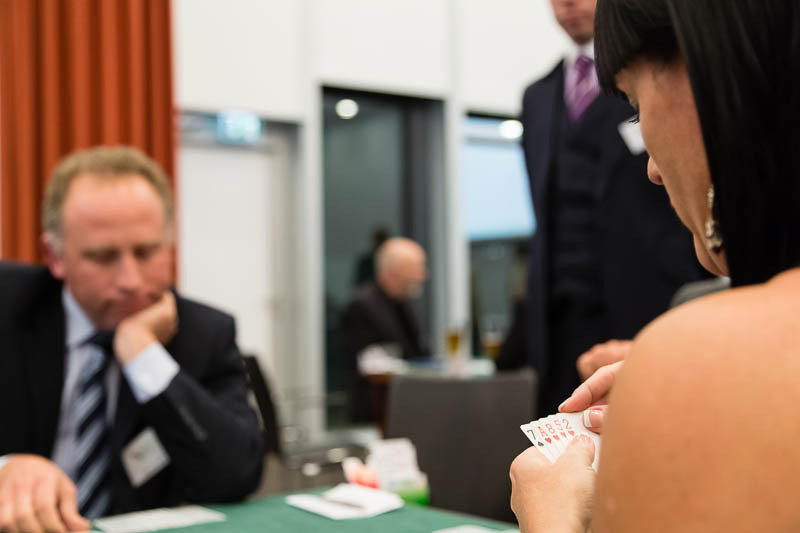 Following the enormous interest of the Copenhagen Bridge Invitational in 2013, the Danish Bridge Federation in 2015 launched a 3-day imp pairs tournament running simultaneously with the main event. The tournament is continued in 2017, running from Friday the 20th to Sunday the 22nd of January 2017. Starting time Friday will be at approximately 11:00 and finish on Sunday the 22nd approximately 18:00. This is the opportunity to participate in an event in one of the hottest cities in Europe with attractive prize money and the world stars playing next door. The tournament is open to players of all skill levels and nationalities. Juniors of all nationalities pay half the entry fee. LAST CHANCE FOR REGISTRATION IS SUNDAY 15th OF JANUARY 2017! The Danish Bridge Federation has negotiated favourable rates with the Radisson Blu Scandinavia hotel, the venue of the Copenhagen Bridge Invitational. All rooms have free internet access and free parking during the tournament. Make sure to get a free parking ticket at the front desk at departure. Booking link to discounted rates. To be sure to get the discounted rates, booking must be made before the 22nd of December 2016. All guests have access to the well-equipped fitness center with sauna and squash courts. All bookings made through the booking link have free cancellation. In 2017 there will be free access to the Copenhagen Casino located inside the hotel for all guests. This is a change from 2015. Upon arrival participants can request a pass to the casino for the entire stay. In 2017 there will be complimentary ice water for all participants during play. Throughout the tournament a temporary bar will be placed outside the playing room of the main event for beverage supply during play. Here it will also be possible to order sandwiches for the lunch break. The prices at the temporary Venue Bar are discounted compared to the hotel's normal prices. The venue bar is open from 10:30-16:00 every day. When the bar closes, soft drinks, beer and wine can be purchased from the Bus Stop Bar downstairs in the lobby at the same prices by displaying your tournament badge. During lunchbreaks the main hotel restaurant Mamas & Papas and the Bus Stop Bar in the lobby are open. There are two possible formats, depending on the number of participants. The tournament fee is 2500 DKR (340 euro) for the pair. Juniors of all nationalities pay half the entry fee. The playing schedule will follow the schedule of the main event. Play will start at 11:00 and finish at approximately 19:00 Friday-Saturday and possibly start earlier Sunday and finish around 18:00. Participants in the Radisson Blu Scandinavia Imp Pairs have the same rights as everybody else to bid and participate in the auction and the pro/am-event on Thursday the 19th of January. Furthermore participants earn the right to buy access to the traditional galla buffet and party rounding up the main event on Sunday the 22nd of January, which is otherwise closed to the public. A business formal dress code is applied.